Blog Teams Arsenal Who is the €36m defender United and Arsenal are keeping tabs on? Who is the €36m defender United and Arsenal are keeping tabs on? Reports in Spain over the weekend have suggested that Manchester United and Arsenal are closely monitoring the situation of Athletic Bilbao defender Aymeric Laporte. AS suggest that the Premier League due have been impressed with his form for the San Mames outfit this term, and are weighing up a summer move for the young French defender. But, who is Laporte, and where would he fit in at either of the Premier League powerhouses? Laporte is a 19-year-old versatile defender, who predominantly plays at centre-half, but can also fill in at left-back. He is only the second ever Frenchman to play for the strictly Basque Bilbao – following in the footsteps of Bixente Lizarazu. The teenager has been a virtual ever present in the Bilbao first team this season, starting 17 of the La Liga club’s 19 games and scoring twice. He has been heavily linked with a move to Barcelona also, with reports in Spain suggesting that the Camp Nou outfit see the youngster as the long-term successor to Carles Puyol. Laporte has represented France through the youth ranks, from under-17, 18 and 19 level, and into the under-21 side last year. It has been confirmed that the versatile and highly sought-after defender has a €36 million release clause in his contract with the La Liga side. With the likes of Nemanja Vidic and Rio Ferdinand looking increasingly likely to not be around for Manchester United next season, a move for Laporte certainly makes sense for the Premier League champions. With the Frenchman’s ability to fill in at left-back, this would surely also be seen as a benefit for the Old Trafford club. A move to Arsenal seems less likely, with Arsene Wenger trusting Laurent Koscielny and Per Mertesacker as his first-choice central defensive pairing. The Gunners are well served at left-back also, with Nacho Monreal and Kieran Gibbs vying for a starting berth. 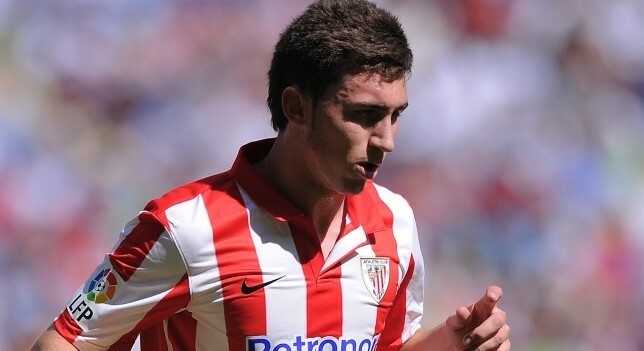 Despite the reported interest, the likelihood of Laporte leaving Bilbao mid-season seems small. The defender has been vocal in stating that he is happy at San Mames for the time being, but admitted that he has dreamed of playing for a big club like Barcelona. “Barca’s interest in me is flattering; I’ve dreamed of playing at a club like that since I was a kid, but at the moment I’m not thinking about those kind of things,” the teenager said. Despite this, regardless of whether Bilbao qualify for the Champions League ahead of next season or not, the Basque club are susceptible to losing their prize asset in the summer, as some of Europe’s top clubs circle. The Transfer Lens - Edinson Cavani to Man Utd? Souare to Arsenal?